Dannie has an increadible amount of heart and drive.She is a beautifully built hound, that meets breed standards in everyway.Dannie has extremly tight, cat-like feet and nice straight legs to go along with it. Every time we take her out she opens more and more on track. She trails with 4 or 5 chops, then is quiet a few seconds and starts over. 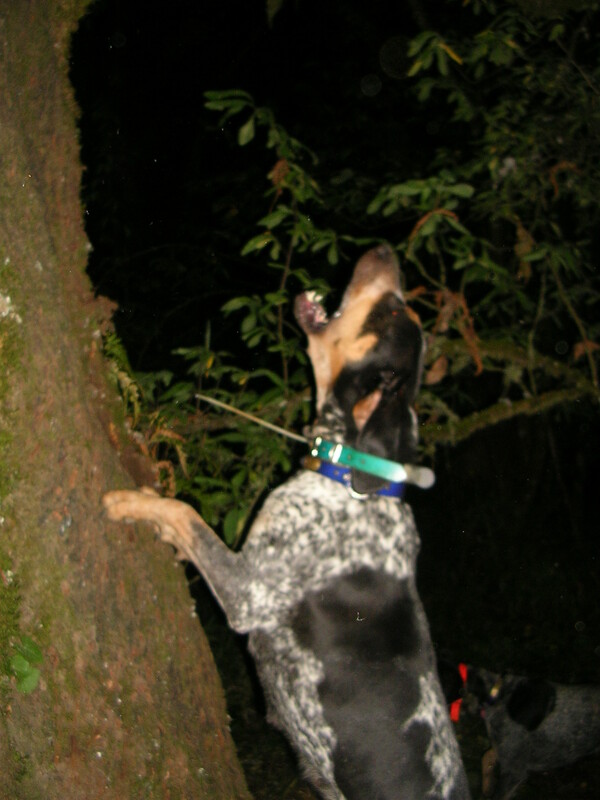 Her tree bark is a loud,deep,and steady chop; that is very consistant. 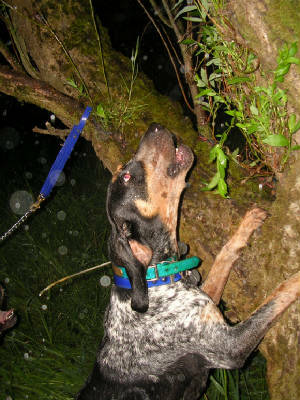 Dannie is a close to medium hunter but gets in there to do the job.Shes a lot of fun to hunt and own.